MANDAN – The last trials for 836 activists arrested during the Dakota Access Pipeline controversy have finished, with a large majority of the cases dismissed. On Tuesday, the state’s final court case was against Katrina Silk, who was found not guilty of engaging in a riot, disobedience of safety orders during a riot, criminal trespass, and disorderly conduct, but was convicted of physical obstruction of a government function. District Judge David Reich sentenced her to 60 days of deferred unsupervised probation and a $325 fine. Silk, along with 139 others, was arrested on October 22, 2016 after being “beaten with truncheons, pepper sprayed, kettled, and otherwise brutalized,” according to the Water Protector Legal Collective. “I’m glad that it’s over and I’m happy that the judge saw that there was no riot, no criminal trespass and no disorderly conduct from that prayer walk,” Silk said. In total, 392 cases were dismissed, 42 people were acquitted at trial, 185 cases had pretrial diversions, 146 people arranged for plea agreements. Only 26 people were convicted at trial, and there are 45 inactive warrants remaining, according to the Water Protector Legal Collective, the on-the-ground legal team for the Indigenous-led resistance to the 1,172-mile-long pipeline. The Water Protector Legal Collective has spent the last two-and-a-half years defending activists ranging from Red Fawn Fallis, Sophia Wilansky, Hollywood actors, journalists, to former Standing Rock Tribal Chairman David Archambault II. The organization brought in 31 experienced criminal defense movement lawyers to the state, all of whom worked multiple cases. 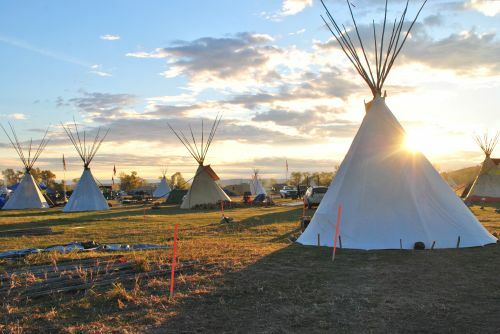 Lawyers gathered their own evidence, posted bail for those arrested, organized petitions to the North Dakota Supreme Court, and fought to obtain evidence the state was unwilling to hand over pertaining to law enforcement’s relationship with TigerSwan, the private security company hired by Energy Transfer Partners to protect the pipeline and control the narrative. The controversy brought in law enforcement from around the nation costing the state more than $38 million, some of which has been paid for by the pipeline’s parent company, Energy Transfer Partners, and by the federal government last summer. A total of $12.8 million is still owed to the Bank of North Dakota, and the state is hoping the U.S. Army Corps of Engineers will pay the costs. The NoDAPL fight also brought in more than 20,000 Natives and others from around the world, unified Indigenous nations, and brought the Seven Council Fires (Oceti Sakowin) of the original Great Sioux Nation together for the first time in a century. Out of a total of 94 inactive NoDAPL warrant cases, 45 were dismissed for lack of evidence. Anyone wishing to resolve a warrant stemming from a Standing Rock case can still find help with the Water Protector Legal Collective. While the organization’s defense work has ended, their offense is only starting, board member Rachel Lederman said. “We are determined to press on for justice, no matter how long it takes,” Lederman said. The organization filed a federal civil rights lawsuit, Dundon v. Kirchmeier, which seeks police accountability for violence at Backwater Bridge on the night of November 20, 2016. The lawsuit names Morton County Sheriff Kyle Kirchmeier, and they are awaiting a ruling from U.S. Chief Judge Daniel Hovland to allow the case to move into discovery phase. 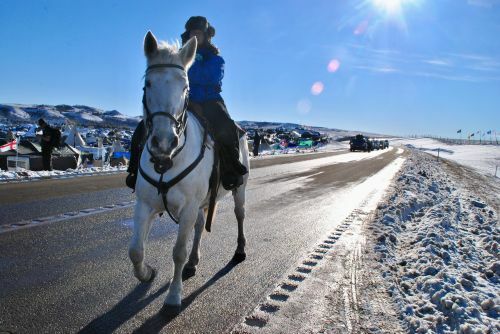 “Our state charges and inhumane jail conditions resulted from brutal arrests that occurred not because the state had legitimate legal arguments to press charges, but simply out of desperation to end our collective tactics that were the only option available to effectively hold the extractive industry accountable for their impunity,” three-time Standing Rock arrestee Olive Bias said in a statement. The Water Protector Legal Collective has also made partners with law universities and is petitioning the Inter-American Commission on Human Rights to conduct a hearing into the suppression of dissent in Indigenous communities for resisting extractive industries, according to the press release. 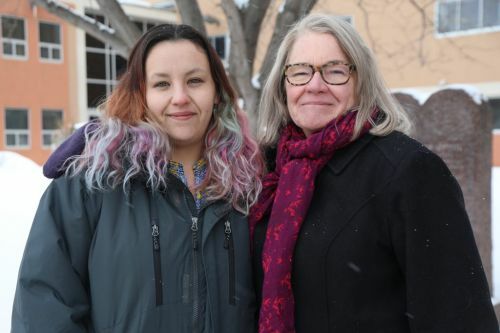 “We did our best to reduce legal harms for the Standing Rock Water Protectors in racist colonial courts,” T’seleie said. “We commissioned a study that demonstrated the bias of the local jury pool that helped guide legal strategies for WPLC cooperating attorneys and local public defenders alike. Because of that data, many jury trials and much jail time was avoided.